Terms and conditions booklet priced at 2000$ and requested from the Administration Affaires Sector at aiBANK. Will take place on 24/6/2018. 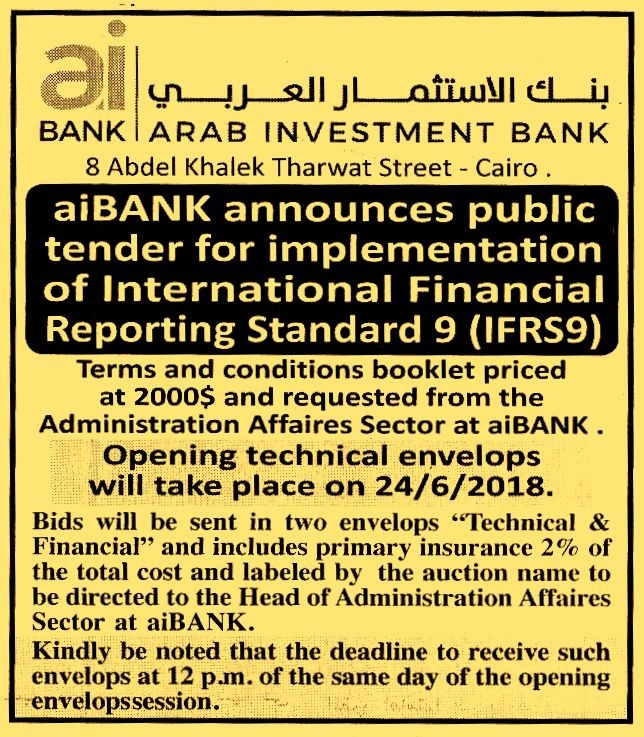 and labeled by the auction name to be directed to the Herad of Administration affaires sector at aiBANK. Kindly be noted that the deadline to receive such envelops at 12 p.m. of the same day of the opening envelopssession.